A black-and-white cat that was found in the pouring rain, in Rayleigh, is now back on his paws and enjoying some much-deserved home comforts. 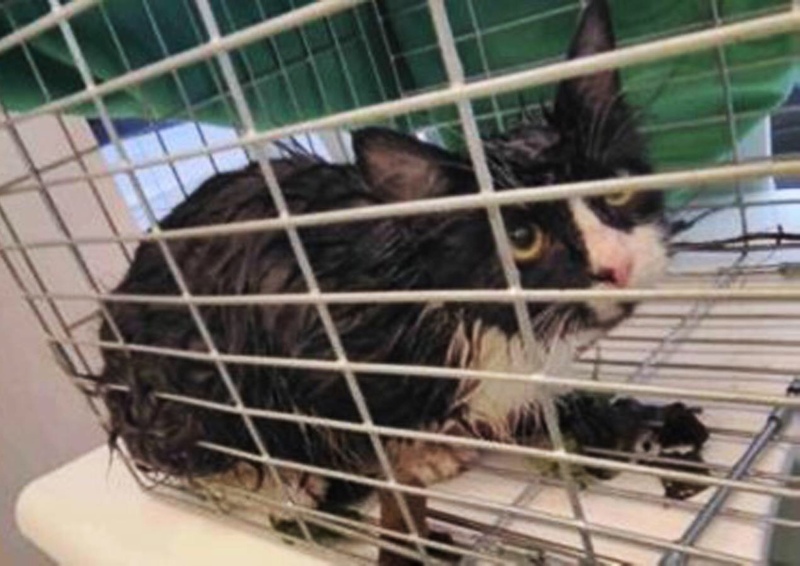 Volunteers from Cats Protection’s Rayleigh, Castle Point & District Branch were alerted to the six-month-old cat last December, who was found soaking wet and covered in mud at an abandoned house. Now named Peter Steve Rabbit by his new owner Liz Smith, a self-confessed Beatrix Potter fan, he is now a much-loved member of the family. Norman Mills, from Cats Protection’s Rayleigh, Castle Point & District Branch, said: “Peter Steve Rabbit was severely malnourished, weighing just 1.5kg when he first came into our care. When we finally managed to dry him off, we were surprised to see a slightly fluffy-looking cat, who just needed some TLC. 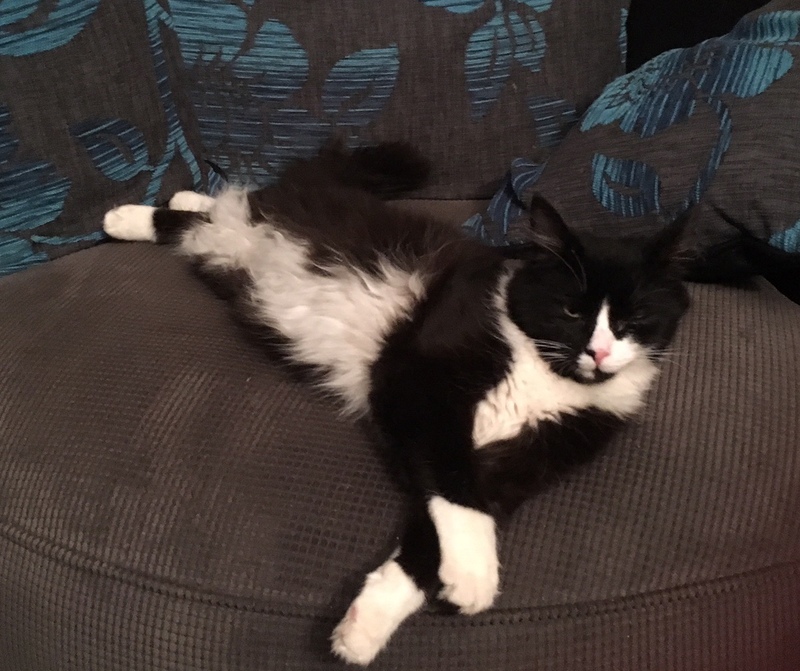 Peter is now settled in his new home with Liz and is already best friends with her other two cats, Beatrix Mary Potter, who was adopted from Cats Protection last year and Miss Ivy Moppet, who was adopted from the charity just last week. Liz said: “Peter Steve Rabbit is such a lovely cat who has already become one of the family. We adopted him just five weeks ago and in that time, he has grown in confidence and now seems very settled. After adopting Peter, I later saw the photo of him, drenched from rain, in the branch’s newsletter. It broke my heart to think of him like that but am pleased that I’ve been able to give him a fresh start to life.